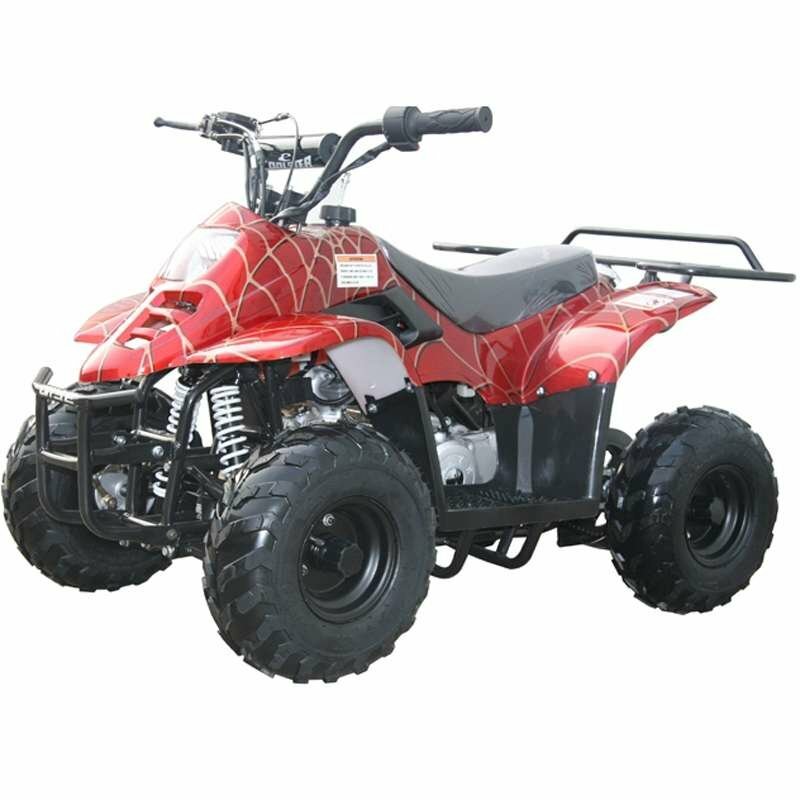 Coolster 3050C is a mini-size atv. This streamlined vehicle, powered by a dependable 4 stroke 110cc motor, tops out at max speeds of over 30 miles per hour (depending on rider's weight and terrain). 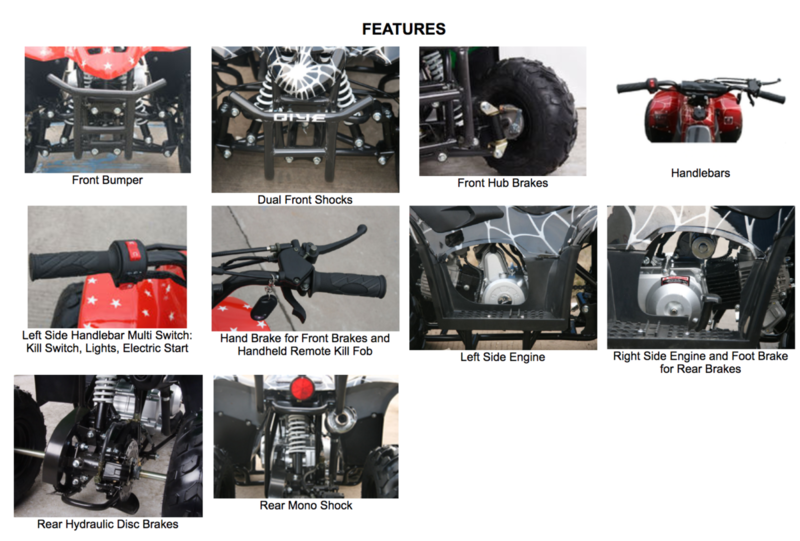 The durable double A-arm Front Suspension, Single Rear Suspension, drum/disc brake, and improved engine design will ensure a ride that is a cut above.